Fibre doesn’t get actually digested. 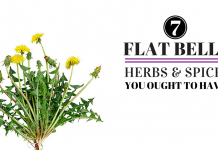 It moves through our digestive system and collects toxins and waste. 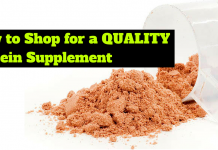 It also helps lower blood sugar and chlosterol. It’s recommended that we consume between 15 to 25 grams of insoluble fibre and about 10 grams of soluble fibre per day! That’s a total 25 to 40 grams per day for an adult! So where can you get that much fibre? We all know legumes (like black beans and lentils) provide large amounts of fibre. And so do most vegetable and fruit. . We made a list of our favourite top high in fibre diet foods that are perfect for fat loss. 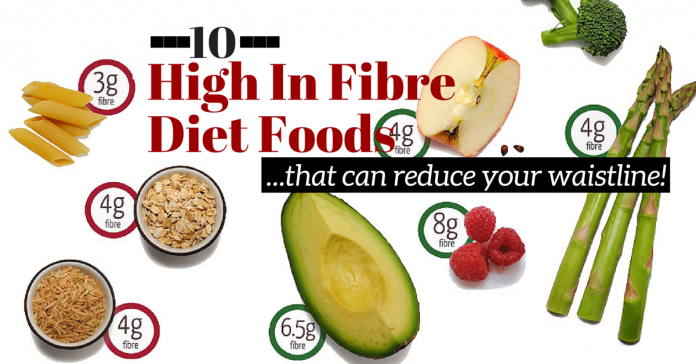 Here are 10 High in Fibre Diet Foods that are healthy and can reduce your waistline! Apples: The average apple contains a whooping 4.4 grams of fibre! A single apple can do wonders for your digestive system (and taste buds!) . Apples make a perfect snack (for both vegans and non-vegans!)! Make sure to eat them with the skin. Pair slices apples with natural nut butter and cinnamon for added protein and flavour! 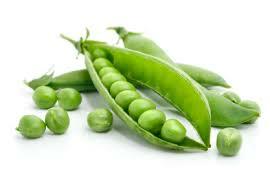 Green peas: This delicious vegetable contains a massive 8.8 grams of fibre in just one cup! Buy fresh or frozen and get cooking! Almonds: Raw almonds are known as the perfect nut as they have a perfect ratio of fat to protein. You might be surprised to find out that almond also have 3.5 grams of fibre per ounce! So grab a handful and munch away between meals or toss em in a salad! 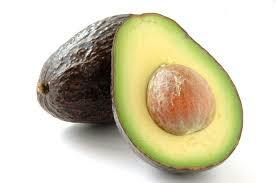 Avocado: You might be surprised to find out that one whole avocado serves 10 grams of fibre! You can add avocado to salads and shakes or have it by itself! Avocado are great in the morning or can be enjoyed as a snack! Pears: One medium pear actually has more fibre than a medium apple! It serve 5.5 grams of fibre! Eat it by itself or toss it in a salad or in sauces! Broccoli: This veggie like most green veggies is packed with lots of vitamins and fibre. You can enjoy broccoli with almost any dish, cold or hot! A cup only has 30 calories! 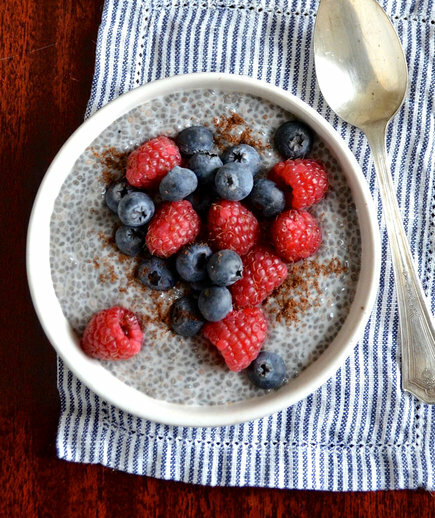 Berries: Both blackberries and raspberries contain about 8 grams of fibre per cup! 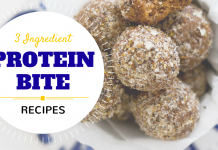 They are the perfect snack by themselves or can be added to shakes and salads. Oats: One cup of cooked oats contains 4 grams of fibre! 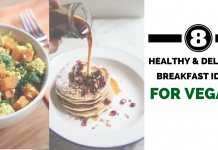 Oats are great served cold or hot, specially in the morning! Artichoke: This bitter tasting vegetable is actually super nutritious. 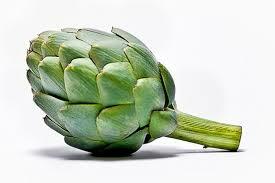 It contains over 10 grams of fibre per serving (1 medium artichoke). Pick up some artichokes and add them to your stir fry or salad! Brussel Sprouts: just one cup of this veggie can add 4.1 grams of fibre to your diet! So get boiling! Brussel sprouts make a great pair with steak, chicken or fish! 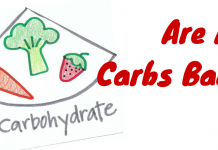 Add these 1o high in fibre Diet Foods to your grocery list and get munching! Added bonus all 10 are packed with vitamins, minerals and phytochemicals. 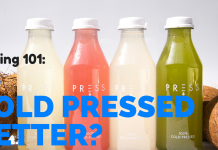 Make sure to drink lots of water as fibre rich foods need water to be absorbed and digested. Looking for more great diet advice? Check out our post on 6 Devastating Diet Mistakes and our 5 Quick Diet Fixes to fast track your results!